During the last four weeks of Hackbright Academy’s software engineering fellowship, each fellow uses their new found skills to build their own web app. Scroll below to read about the fellows and the projects created. To meet Silicon Valley’s newest software engineers in person, join us for Hackbright Academy’s quarterly Dinner & Demo night. 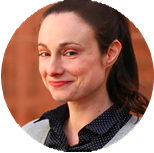 Alena Kuczynski, a natural communicator with a background in neuroscience, enjoys both delving deep into technical topics and making them accessible to others. Alena graduated from Stanford University with a BS in Science, Technology, & Society, completing a rigorous science curriculum along with an examination of science and technology’s interplay with society. 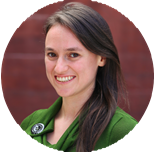 Following graduation, Alena taught extensively in the US and abroad before returning home to NYC to work as an EMT. Alexandra Plassaras graduated from Boston University with a degree in security studies focusing on post-conflict societies and guerrilla warfare. Afterwards she focused her career on various analytical roles including non-profit consulting, and business analytics at organizations focused on education, genetic carrier- screening and market research. 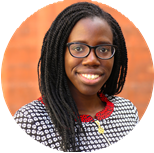 She is currently a Master’s candidate at Columbia University studying economic and public policy analysis and data science. She is focused on the intersection between technology and social impact, particularly how data science impacts the social sector. She loves asking questions, learning new languages, sharing anecdotes and hiking. Follow her on Twitter @ Alex_andra_P. 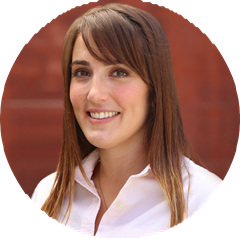 Angela Castanieto hails from the world of biomedical research and recently got her PhD in Genetics from UCSF. She became addicted to coding during her last year of graduate school, and while working on her dissertation she spent all her free time learning Python. Right after graduation she began Hackbright, and loves that she can now apply her skills in problem solving to create useful web apps. Follow her on Twitter @angiesc. Ariana Promessi earned a degree in English Literature from UC Berkeley where she was awarded high honors for her thesis on Milton’s philosophy of matter. Her research earned her acceptance to Rutgers University’s PhD program. Instead of continuing to study literature, she applied her analytical thinking to consulting for evaluation teams at Humanity United and The David and Lucile Packard Foundation. Evaluating grant impact in complex situations inspired her to seek ways to gather information more effectively. After reading about UN Global Pulse and Datakind’s data science projects she began investigating how companies use technology for social change and couldn’t resist the temptation to dig into programming and gain tools for building innovative and impactful technologies as a full-stack engineer. Dana Fallon has a degree in linguistics with a minor in French from UC Santa Barbara. Having a penchant for analyzing patterns and structures, she was drawn to linguistics for its integration of science and language. During her last year of college, she started to explore programming for the same reasons and it quickly became her favorite hobby. 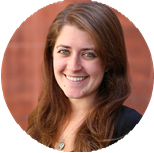 Dana recently spent a year at Google as a linguist in Machine Intelligence, where she worked alongside engineers and got to experience the product development process. Emily Luckette graduated from Clarkson University with a degree in Digital Arts & Sciences. Coursework focused on design, computer science, and mathematics. Additionally, Emily worked as a consultant on two National Science Foundation projects for the Connecticut State Education Department. On these projects Emily revised STEM curriculum utilizing virtual world simulation, 2D/3D design, and collaboration technologies. 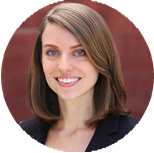 Since graduating, Emily has been working for an insurance advisory firm in Southern California. 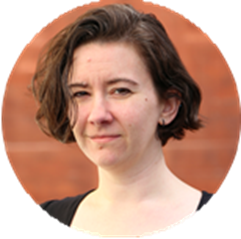 In addition to her full-time position, Emily was a freelance Web consultant and tutor in physics and mathematics. Recently, Emily decided to revisit her computer science and design background. Follow her on Twitter @ killin_Emm_. 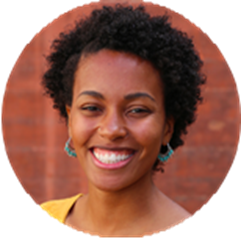 Johanna Griffin attended UC Davis, during that time Johanna (Avian Sciences B.S., minor Psychology) discovered animal nutrition, and began working for Dr. Annie King as a Junior Specialist. She led research on tomato pomace as sustainable replacement for corn/soy in poultry feed, and olive pomace as an antioxidant. This opened the door to Sonomaceuticals, a sustainable food products company. Her sales experience with WholeVine, associated with Jackson Family Wines, gave her an opportunity to work for JFW’s distributor, Regal. Her research experience with SAS programming led her to pursue lessons in web development as a side hobby. During her career, she often identified how code could solve real- world problems, and now looks forward to creatively approaching these issues in the future. 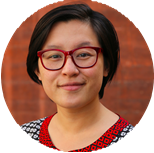 Judy Chau graduated from UC San Diego with a degree in Urban Studies and Planning where she was introduced to census data and geospatial technology. While working at a local non-profit and interning at the City of Morgan Hill, she took classes to enhance her technical skills in GIS. She soon worked for Apple Maps as a GIS technician on the data team. As she provided technical support for Apple engineering teams, Judy was fascinated by computer programming capabilities and big data. Judy’s passion for learning and her ability to do more lead her to pursue a career in software engineering. 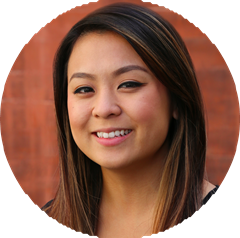 After Hackbright, Judy plans to continue building her skills as a full stack developer in the Bay Area. Follow her on Twitter @ judazzzle. Julie Haehn returned to her love of tech to build new experiences after more than a decade of producing games and helping artists understands programmers (and vice versa!). 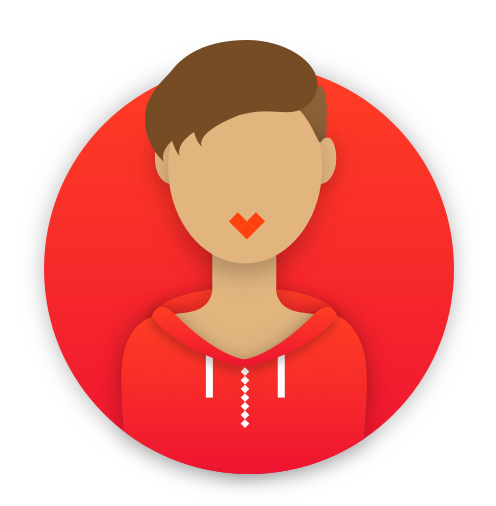 After Hackbright she is looking to make a contribution in technological infrastructure, as well as end user experience, and UI elegance. Julie is passionate about learning new technologies. In her spare time she is actively pursuing certification as a Flat Track Roller Derby Official with the moniker of Rules Verne. 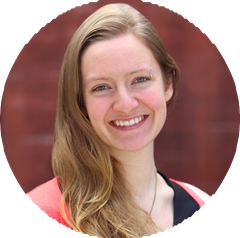 Kathleen Eve is a Prep for Prep alumna, and Middlebury College graduate with a double major in Mandarin, and Sociology. Her background in legal recruiting, voice and data networking sales, and teaching demonstrates her love for learning, and facing new challenges. Kathleen’s increased exposure to technology in her roles as a research analyst, and a business development associate piqued her interest in programming. This interest snowballed into a passion and on a leap of faith Kathleen found herself on the opposite coast in the heart of the sunny Silicon Valley. Hackbright provided Kathleen an opportunity to redefine herself as a software developer. When Kathleen’s not at the computer she is learning a new language, or hiking with her husband and hound! Kristine Morinaka thrives on the excitement of new experiences. She moved 3000+ miles to study at the University of Hawaii, where she graduated with a BA in Sociology. She continued her education in social behavior while working with children with autism. She enjoyed the unique problem-solving challenge of implementing applied behavior analysis (ABA) strategies to teach new skills and shape behavior. The increasing impact of technology on social behavior sparked Kristine’s interest in computer programming, which ultimately led her to Hackbright. She loved the hands-on learning experience, and is constantly improving her skills. Kristine is excited to join other female software engineers changing the ratio in tech! Follow her on Twitter @kristinebean_. 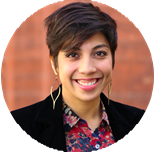 Leslie Castellanos is a motivated full-stack web developer. 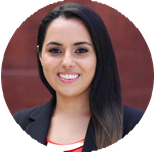 Originally from Mexico City and California and a graduate of Pomona College in southern California, she joined Hackbright after a long career in nonprofit fundraising and management. Her past work included front end web development for both her nonprofits and for freelance clients. A passion for new challenges and creative, product-oriented work led her to full stack web development. Leslie brings proven skills in logistics and cross-functional management. Her past projects have been deadline-driven with changing requirements and expectations. Her success has come from being responsive and resourceful and she is eager to be a part of a strong development team. Follow her on Twitter @leskat47. Lindsay Grizzard earned her bachelors from Humboldt State University with an Art degree emphasizing in Graphic Design and Art History. She has been working in design and physical user experience for over 4 years. During this time she was appointed the Director of three fine arts galleries, created a profitable graphic design company and instructed interns in design and film software. While working as a graphic designer, Lindsay began exploring basic web design to integrate into her business which led to an immediate passion for code and intensive self-study. She hopes to use her increasingly sophisticated developer skills to create exciting user experiences on the web and full-stack web development implementations. Follow her on Twitter @lindsayrusd. Michele Lee most recently worked for First Databank, a company that leverages drug data for decision making by healthcare professionals. As a liaison between the FDA, drug manufacturers, and healthcare professionals, she worked closely with software developers. She witnessed the rapid development of the healthcare industry through the constant implementation of new technologies and improvements among common digital-health practices. It was through this that Michele found a passion for technology. In this role Michele gained experience with implementation, data parsing and SQL databases. Michele is excited to continue exploring technology and problem- solving as a software engineer. Follow her on Twitter @_michelelee_. Natalie Garcia graduated from a highly selective writing studio program at the University of British Columbia. A writer’s dream is to continue collecting rich experiences and gaining more knowledge. To that end, Natalie has traveled most of the world and taken on a variety of roles across industries. Snapshots include: touring Europe as the production manager for a performance artist, joining a bellydance troupe in South Korea (while teaching English), and working remotely as a telecom consultant in Buenos Aires. When everything is fascinating, it is easy to quickly become an expert and an indispensable part of any team. Nicole Rinn before Hackbright was the wholesale manager at a jewelry design company. She worked with buyers and showrooms all over the world, assisting with merchandising, and order processing for tiny boutiques and huge, well known accounts like Urban Outfitters and Paul Smith. 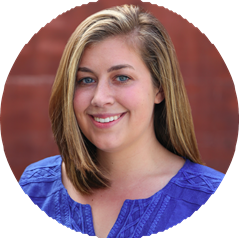 Nicole worked closely with the CEO, creating and implementing sales and marketing campaigns. She designed media campaigns with Mail Chimp 2-4 times a month. While working with programs like QuickBooks and Fishbowl, Nicole noticed the need for more efficient solutions for automated systems. She started producing CRMs and became interested in data science. A long-time research fanatic, Nicole is interested in predictive analytics and trend forecasting. Nicole has a B.A. in Sociology from UC Santa Cruz. Nuvdeep Pannu graduated from UCSD with a degree in Biochemistry. She then worked at a compounding pharmacy where she fused chemicals and synthesized special medications for patients. During her childhood, Nuvi built PC desktops from scratch as a bonding activity with her tech-savvy father. She began to see this cutting edge technology as a tool for computer gaming, where she competed in the Cyberathlete Professional League, carrying on her gaming legacy for 15 years. She gained an insatiable thirst to understand the ability of creating computer software that could instruct a machine to perform tasks collaboratively and efficiently. To kickstart this venture, Nuvi joined Hackbright to build her programming skills and hopes to work as a full-stack developer in Silicon Valley. Pam Mangan graduated from Indiana University with a Masters in Nonprofit Administration. 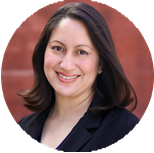 She has worked with many nonprofits within public health, arts, education, technology, and finance sectors. 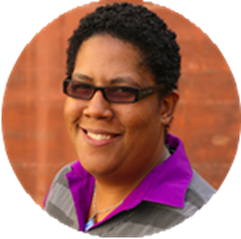 During her time in the nonprofit sector, she became increasingly aware of the growing nonprofit technology gap. In response to this, she began working for technology-based companies that interfaced with nonprofits. 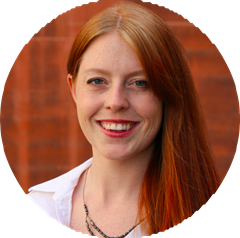 For the past two years, she has worked at Indiegogo as the Nonprofit Campaign Specialist providing large-scale nonprofit campaigns with fundraising strategy (social media engagement, donor tracking, campaign layout/copy, campaign analytics). Pam is looking to work on nonprofit software development as a Product Manager while continuing her studies in development in order to eventually build her own first-rate CRM application. Rachelle Dunn has always been interested in creating beautiful things. Armed with a fine art degree in painting from the University of Florida, she found that her eye for aesthetics lends itself well toward design. At her last position, a week after being hired as a visual designer at a small design studio, the lead developer left and the option was open to fill the position. She dove in with the help of Lynda, and quickly fell in love with frontend development, yet continually wanted to know more. 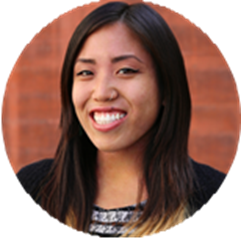 Rachelle looks forward to utilizing her previous visual and frontend experience alongside her new backend skills as a full-stack developer. Follow her on Twitter @rchdnn. Rebecca Powell graduated from Dartmouth in 2012 with a degree in Economics. After college, she moved to Madison, WI to work as an Implementation Consultant/Project Manager for Epic Systems, travelling almost every week to different hospital systems across the nation and implementing the Claims and Electronic Remittance subset of Epic’s billing software. 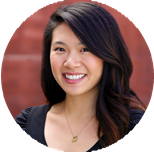 She moved to the Bay Area in January 2014 to work for Medallia, a Customer Experience Management SaaS company based in Palo Alto. In addition to managing clients, she led several technical projects, including building many beta reports that are now standard in Medallia’s product. She hopes to work in data science and eventually become a technical product manager. Sadie Wilhelm comes to software engineering from a quantitative background, first in education and then tech. After graduating from Stanford with a B.A. in Econ, she pursued her dream of being a high school math teacher and then ultimately founded a math tutoring business for girls. Five years later and ready for a new challenge, she joined the BI team at AdRoll, where her exposure to and passion for coding began. Success there earned her a promotion, which brought an increase in meetings and a decrease in programming time, and she realized that she truly wanted to be coding constantly. Because her beagle protests switching dog walkers, Sadie will search for software engineering jobs in the Bay Area upon Hackbright completion. 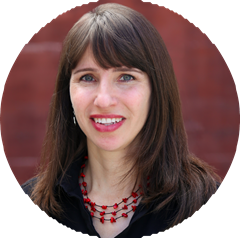 Sarah Foregger holds a PhD in Communication, specializing in persuasion, information processing, and attitude change. Her dissertation was the first quantitative study to explore the motives underlying Facebook user behavior. Craving a faster pace after 4 years as a tenure-track professor, Sarah transitioned her expertise to industry, focusing on user experience and consumer insights. 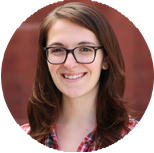 Realizing that she wanted to bridge the gap between UX research and behavioral metrics, Sarah sought out Hackbright to gain the programming knowledge to leverage big data. Outside of her fascination with measuring behavior, Sarah is also a published cake decorator and fosters cocker spaniels (but will accept dogs of all types). Follow her on Twitter @sarahfo. Shabnam Emdadi graduated with highest distinction with a double major in Economics and Political science from the University of North Carolina in 2012. Upon graduation, she worked as an economic consultant for Analysis Group, where she was tasked with performing data modeling and statistical analyses in order to value patented features in consumer technology. While she enjoyed the analytical rigor of the position, as well as the opportunity to do statistical coding in programs such as SAS and STATA, she realized that what she truly sought was the opportunity to implement technology, rather than evaluate it. 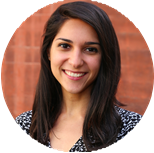 Shabnam hopes to use her data modeling and analytical experience to contribute to an awesome development team through a back-end or data science role. Follow her on Twitter @shab_emdadi. Stella Odewumi has always loved immersing herself in new experiences. A recent graduate from Wellesley College with a major in Economics and minor in Sociology, she co-founded an online menswear company for fashionable men who have trouble finding affordable clothing in her junior year. 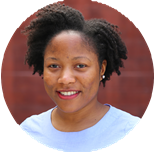 During this process, Stella realized she needed to expand her technical skill set, and proceeded to take a front-end development course her senior year. She continued self-studying programming in Beijing. After Hackbright, she intends to become a back-end engineer. Theresa Cay is a recent graduate from the University of Illinois at Urbana- Champaign with a degree in Molecular & Cellular Biology. From working as an undergraduate researcher in a microbiology laboratory to spearheading the TEDxUIUC conference, she has led alongside of 59 individuals and managed 228 persons, affecting over 700 people on a local, national, and international levels. Upon graduation, she attended the TEDMED conference under a scholarship and was one of 20 to participate in an event at NASA’s Ames Research Center. There, she fell in love with the endless possibilities of technology and aspires to apply her technical, analytical, and leadership skills as a full-stack software engineer. Follow her on Twitter @theresa_clare. Tiffany Williams recently completed her PhD in cancer biology at Stanford University. Her graduate work focused on finding new therapeutic targets for metastatic melanoma. 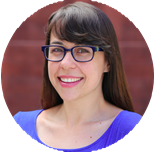 She came to Hackbright to apply her research and mad-scientist- in-the-lab skills to software engineering. She’s excited to support companies in disruptive technologies ranging from digital health to data analytics verticals. Working on her project, Tiffany has uncovered a passion for leveraging natural language processing (NLP) to influence how people retrieve and interact with information. Her project explores this idea through using NLP and machine learning to help users enrich their lives through literature discovery. Follow her on Twitter @TWilliamsPhD. Vi Le spent her undergraduate years researching neurotransmitter modulation in decapod crustaceans and writing award-winning poetry. After graduation, she became the second most popular English-speaking television emcee in Vietnam, where she covered international events and served as the producer and host of two food and lifestyle series. On her return to the US, Vi transitioned into a career in online advertising. 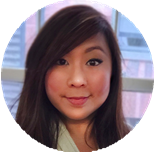 Working in user acquisition, she developed an interest in user behavior and traffic fraud and began teaching herself how to program in order to better investigate these issues from a more technically rigorous perspective. 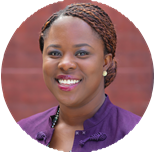 Viola Olayinka has always been driven by analytical thinking and problem solving. She earned her degree in Business Legal Studies and Entrepreneurship from Temple University. 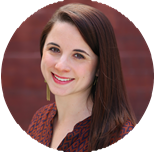 In her last role at political advocacy startup FWD.us, she analyzed data to provide actionable insights on user behavior and strategies for growth and product placement in new channels. Her greatest joy in this role was creating sharable infographics. 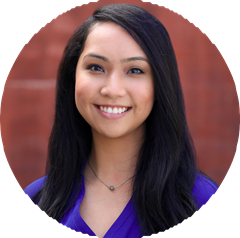 After moving to the SF Bay Area in June 2014, she began studying programming in her free time with Girl Develop It. Follow her on Twitter @violadolayinka. Meet the talented Spring 2015 graduating class of software engineers on Wednesday, June 17th at Hackbright Academy’s quarterly Dinner & Demo Night in San Francisco! You’ll see project demonstrations from students, network with women in the industry, and learn more about Hackbright Academy’s software engineering fellowship.